Star signing appears in broadcast on club TV. 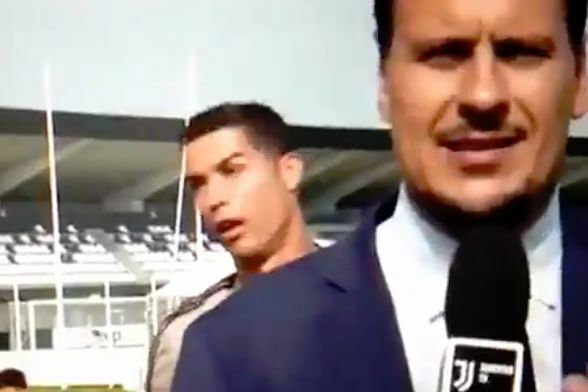 Cristiano Ronaldo playfully copied the actions of a Juventus TV reporter at the Vinovo during a piece to camera. The big-money signing, who has yet to score a league goal for his new club, paused behind the reporter as the squad ran onto the training pitches. Fans watched as he appeared on the live broadcast at the Juventus Center near Turin, while the presenter was seemingly unaware of the player’s presence.